Elise: Today, I’d like to welcome Bud Mushroom, Useful Fairy in the employ of the Queen of Twinkle Dingle to Magic Writer. Do tell us a bit about your job, Mr Mushroom. Bud: Oh, you can call me Bud! That is because it is my name. I am a Useful Fairy. That means I do Useful things. I help the Queen. She tells me what to do, and I do it. Sometimes I carry things for fairies and the Garden Gnomes. I do other things too! I find Lost Things. I Keep Secrets. Sometimes I have a Clever Idea! Elise: Well, Bud, that sounds like you have plenty to keep you busy. Do you have any special skills? Elise: *laughs* I should have guessed. So, what does a typical day in your job involve? Bud: I wait for the Queen to Summon me. This is what she does: she claps her hands and she whistles. Then she says “Bud Mushroom, Attend Us at Once!” That is how I know she needs me. Then I fly to her. That can take a LONG time because I do not fly very fast. Then she will tell me what she wants me to do. Sometimes I help Flickerfoot make a Feast. Sometimes I take snacks to the Garden Gnomes. Once I milked a grasshopper. I did not like that. Grasshoppers kick. Elise: Uh, yes, I’m not sure I’d like to milk a grasshopper! Whats your favourite part of the job? 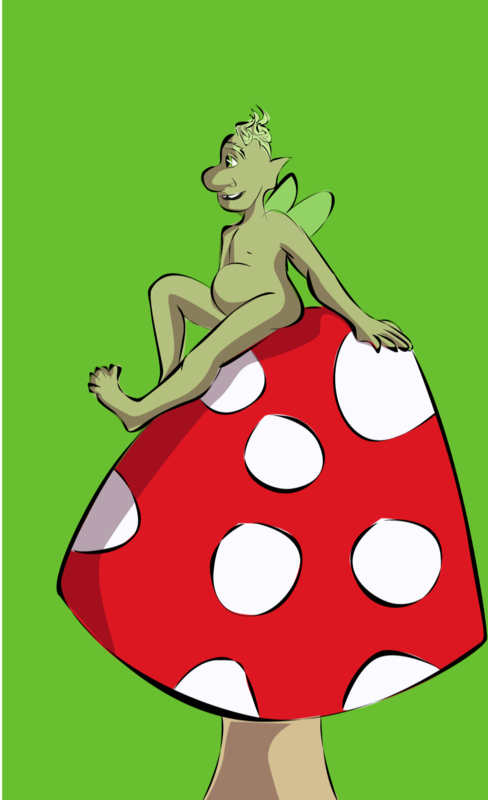 Bud: I like it when the Queen says “You have been a Very Useful Fairy, Bud Mushroom. You will be given a Reward.” I like Rewards. Once I got a Medal! It is hanging on the wall in my house. Elise: Rewards are good. They give you the motivation to keep going. It certainly sounds like you enjoy your job, then? Bud: YES! It is the Best Job in all of Twinkle Dingle! I love to be Useful! Elise: It’s great when you can do a job you enjoy. Do you work with anyone else at all? Bud: I am the only Useful Fairy in Twinkle Dingle. But I help my friends a lot! My two best friends are Flutterglow and Cloverflower. They are fairies. Flutterglow is the Royal Courier. She wears a green dress. She has a purple Courier Bag and she carries things for the Queen. I carry her Bag for her sometimes. Flutterglow giggles a lot and she likes to look at herself in the Pond. Sometimes when I do things she does not like, she makes this noise: Exasperated. I do not know why. Cloverflower is the Queen’s Messenger. She wears a pink dress. She tells fairies things the Queen said for them to do, and they have to do them. Cloverflower says kind words to me like “You can do it, Bud!” She helps me when I am too slow or do not want to talk. I like Cloverflower. She smells nice. Elise: They sound like lovely friends. It must be quite a responsibility being the only Useful Fairy. Did you have any training for the job? Bud: I had to be a Growed-Up. Then the Queen gave me Special Magic so I could Do My Job. Then I Knew how to do it. It was Good Magic. It made me feel tingly. Elise: Ah, that was quite easy then. How did the Queen decide you were the one for the job? 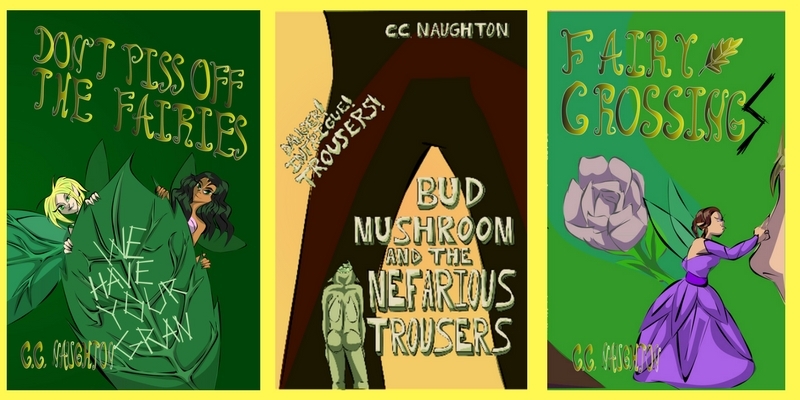 Bud: When I Growed-Up and it was time to Get A Job, the Queen said, “We do not know what Job to give you, Bud Mushroom. You cannot fly very fast. You do not like to talk. You do not even wear Clothing! We do not need a foot-rest nor a door-stop. You are Not Very Useful. But that gives Us a Wonderful Idea! We will make you Useful!” And then her Magic made me Useful! But I still do not like to wear Clothing. Elise: Being Useful sounds like the right job for you. Is this job your dream job, do you think? Or would you have preferred it if she’d given you a different job? Bud: I LOVE my Job! But if I had to have a Different Job, I would want to Float in things. I like to Float in Delicious Nectar. But then Flickerfoot always says, “Bud Mushroom, get out of my Punch Bowl.” I do not know why. Elise: So then, let’s finish on a humurous note. Do you have any funny or embarrassing stories about your job? Bud: One time, I was playing hide-and-seek. I hid in something smelly. Then the Queen Summoned me! But I did not hear it because I was hiding! Flutterglow found me. I flew out of the smelly thing, and got it all over Flutterglow! Then she said, “Bud, we are covered in …. I don’t want to even say it. We must take a bath before we see the Queen.” She *popped* us to the Pond and we floated in the water. Then we went to see the Queen. The Queen said, “The two of you have made Us wait a very long time. Explain yourselves.” So Flutterglow told her where I was hiding. Then the Queen stuck her face into her flower wand so she could Smell Something Nice. Flutterglow does not like this story. She says it is Disgusting and Makes Her Skin Crawl Just To Remember It. But I think it is funny. It was a Very Good Hiding Place. Elise: *laughs* Well, I don’t think I’d have found you there. Poor Flutterglow! Now then, do you think I could come and visit you sometime? Do you allow humans there? Bud: If you come to Twinkle Dingle, you will have to talk to the Queen! She will make you go on Three Quests! Humans do that a lot. I do not know why they talk to a Fairy Queen and not a Human Queen, but they do! But sometimes I help the humans on their Quests. I do Whatever Is Required. I am Useful that way. Elise: Ah, that sounds interesting. I’ll stop by next time I fancy a challenge. Thanks ever so much for joining me today, Bud. Don’t Piss Off the Fairies: An offbeat fairy tale about a spirited girl, her enigmatic grandmother, an incredible forest, baffling quests, and adorable (but also slightly creepy) fairies! 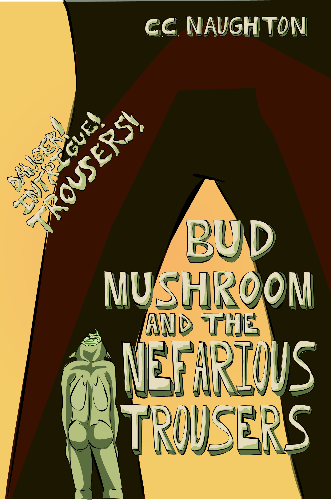 Bud Mushroom and the Nefarious Trousers: Bud Mushroom, Useful Fairy, is Captured by Pixies, Trapped in a Cage, and Worst of All, Forced to Wear Trousers! What will he do? How will he escape? Will he ever be able to Remove the Trousers? Fairy CrossingS: The Queen of Twinkle Dingle is bored, and longs for something interesting to happen. 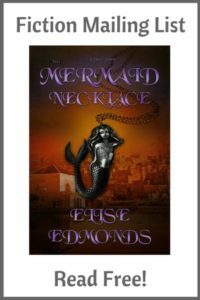 But when the mysterious visitor arrives, she has an adventure she wasn’t expecting and discovers something about herself that makes her question everything she knows. Stand-alone sequel to Don’t Piss Off The Fairies. Follow Bud on Facebook and his blog. I live near a seaside village in Oregon, USA, in a tiny cottage in the woods, underneath the blackberry bush where the fairies dance. 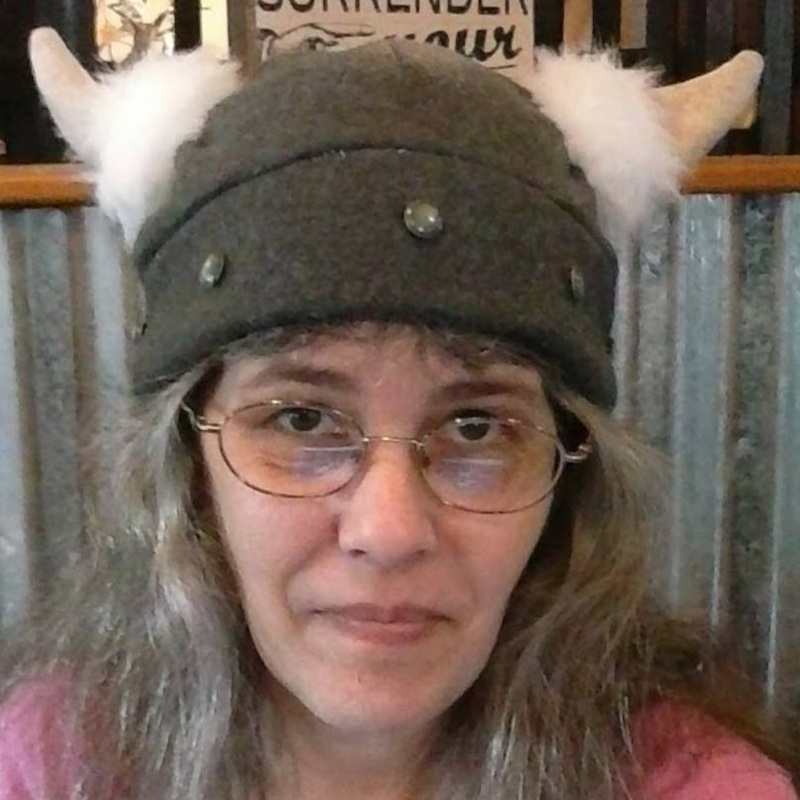 I am the co-founder of an international online writing forum. 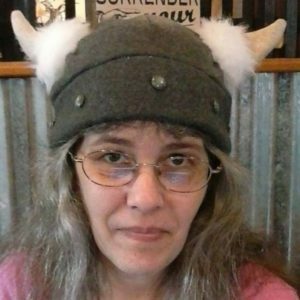 I’ve participated in NaNoWriMo since 2006, and although the sub-genre changes, I have always written fantasy. My biggest literature loves are fairy tales (and retellings), mythology, Arthurian legend, and anything with a firm grasp of the absurd. When I grow up, I want to be a psychopomp, or maybe a fairy godmother – but until I figure out how my magic wand works, I will write fiction. It’s basically the same thing. Follow C.C. on her blog, Facebook, Twitter, Goodreads, and Instagram. Haha, this was a cute interview! I’m glad you enjoy your job, Bud. Sounds like you do it well!